Did you know that some countries actually use the green avocado as one of the key ingredients for many sweet foods and drinks such as ice cream, milk shakes and a whole host of other deserts? Did you also know that the avocado is considered to be one of the healthiest foods on the planet, containing many of the nutrients that your body needs in order to be fit and healthy? We decided, with revelations such as these, the humble avocado would be well worth taking a closer look at. This fruit is said to have first originated in Mexico, although this hasn’t really been proved or disproved. Belonging to the same group of plants as camphor, bay laurel and cinnamon, it is also known as the Alligator Pear and work as a very nutritious substitute for meat in many vegetarian dishes. The green flesh of the avocado is very high in fat, which is what makes it the perfect meat substitute, and is well known for a whole host of recipes such as guacamole, sushi and other fish based foods, as an accompaniment to chicken and also as a feature in many salads. It’s a pretty universal food to be honest. So what about the nutrition? There is something called beta-sitosterol in the avocado which is a compound that can help to reduce the cholesterol when they are considered to be too high. One particular study actually showed that a diet that contained avocado for seven days in a row had a reduction of the cholesterol by over twenty percent in some cases. When you combine that with things such as low-cholesterol margarine and spreads, you have a pretty winning combination. The potassium in the fruit not only helps to keep your cholesterol down but it can also help to regulate your blood pressure – bringing it up when it is down and vice versa, when necessary. With lots of carotenoid lutein present, the avocado is great for promoting eye-health and this compound has actually shown to help with cataracts as well as many degenerative eye-considers, usually relating to age. The folic acid present could help women that want to get pregnant, or just want to stay healthy during their pregnancy. And when that is combined with the vitamin B6 that is also present, you have a heart-healthy recipe for success. Something called glutathione present in the fruit is said to help the immune system of the body and has also been shown to help slow down the aging process – something that many men and women could love all over the world! The nervous system is also boosted with this compound, making it a very multi-talented one indeed! If you suffer with bad breath, you should definitely check out the humble avocado as it helps to cleanse your insides, and to be more precise, the intestinal system, which has been shown to have a positive effect on the root causes of bad breath. Of course, you can’t talk about the avocado without having a slight mention to the good that it can do for your skin. 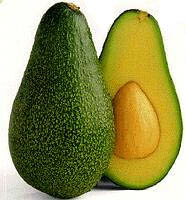 The oil within avocado helps to re-nourish tired skin and can help with the rejuvenation of new skin cells. This makes it especially good for things such as psoriasis. As we have pretty much proven, the avocado is a wicked fruit that deserves a lot more respect than it currently commands. Why not give it a try or have a look online for good avocado based recipes for a tasty treat that will be doing the world of good to your overall general health?